RADARSAT 1 was Canada’s first Earth observation satellite, launched back in 1995. 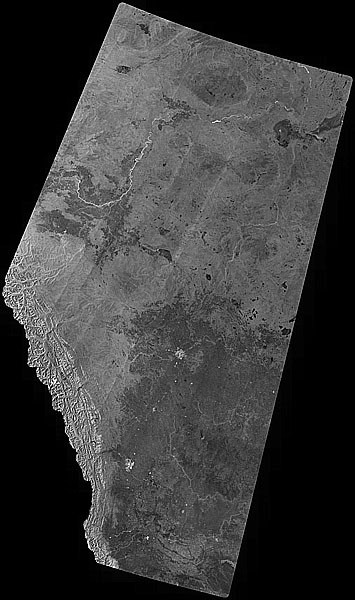 The Canadian satellite utilized synthetic aperture radar to obtain images used to help better manage natural resources and monitor climate change. RADARSAT 1 was declared non-operational earlier this year and therefore is no longer collecting data. RADARSAT 2 launched in 2007 was designed to replace the first satellite and is used for a variety of applications such as sea ice mapping, ship detection, agricultural monitoring, pollution detection, geological mapping, land use mapping, and much more. The Government of Canada through the Open Government Licence has been offering free download of data for Canadian and International areas. Below you will find some links to some RADARSAT mosaic images that you can download free.